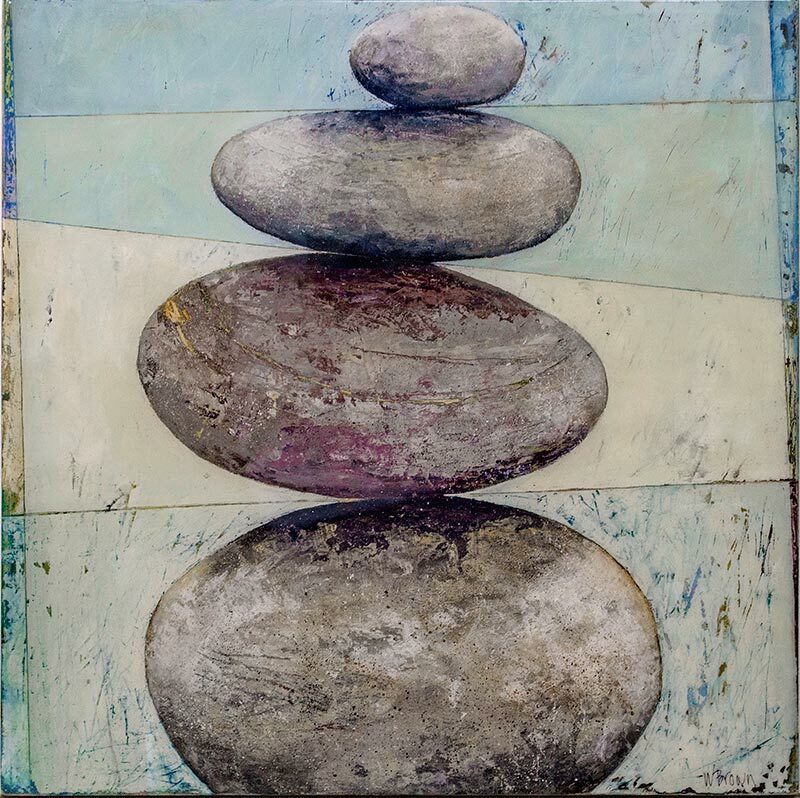 Wishing stones are smooth stones with unbroken rings around them. 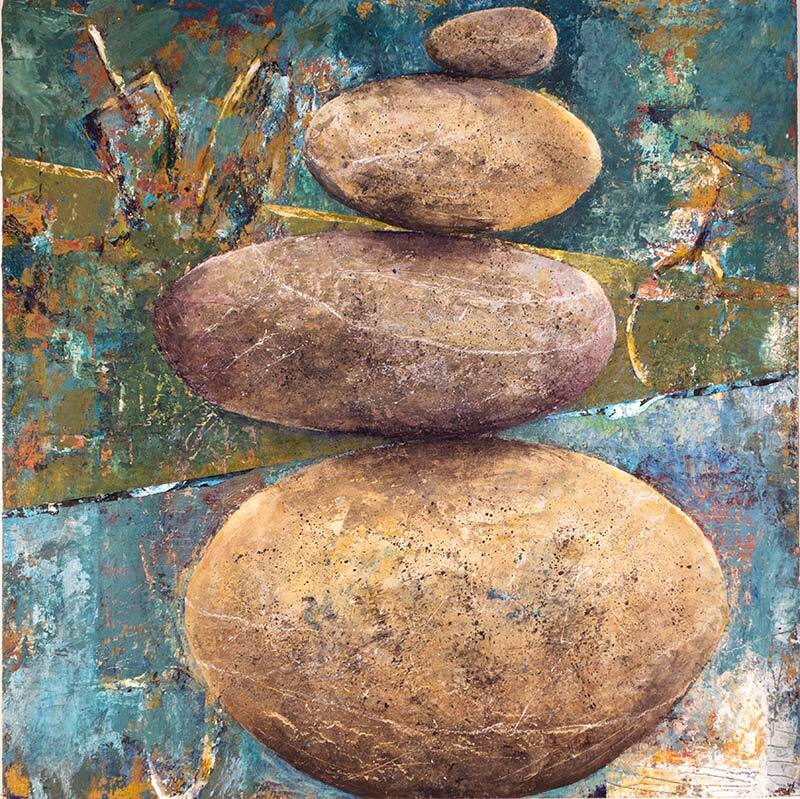 I collect them on my travels and arrange them in the studio as away to begin my art practice. 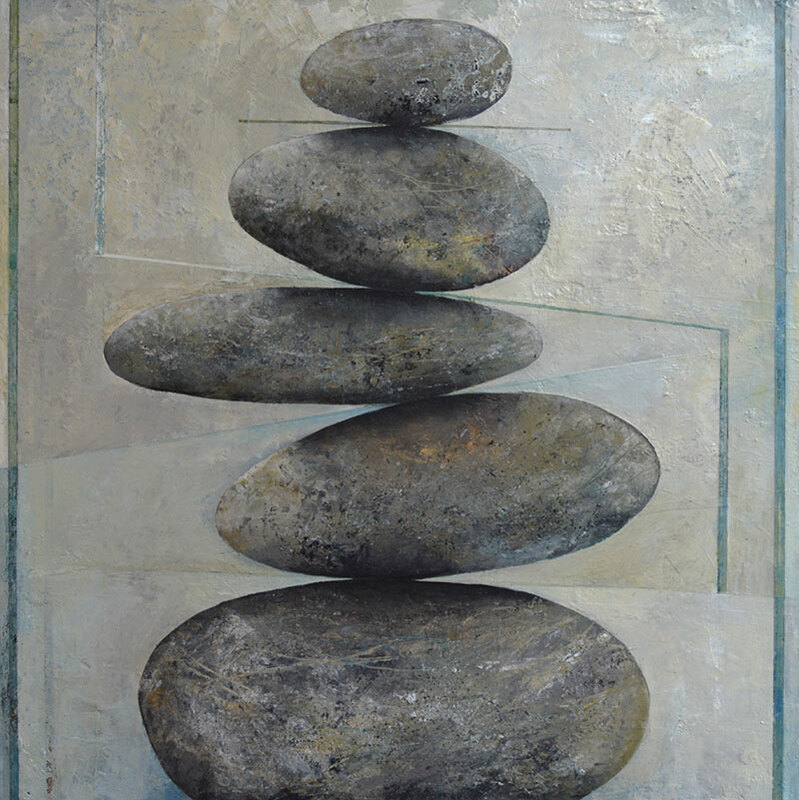 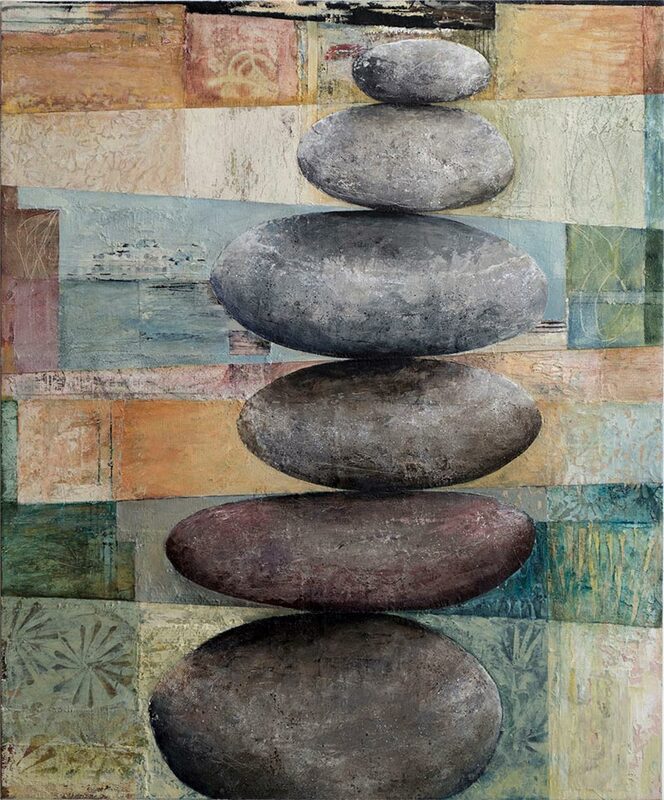 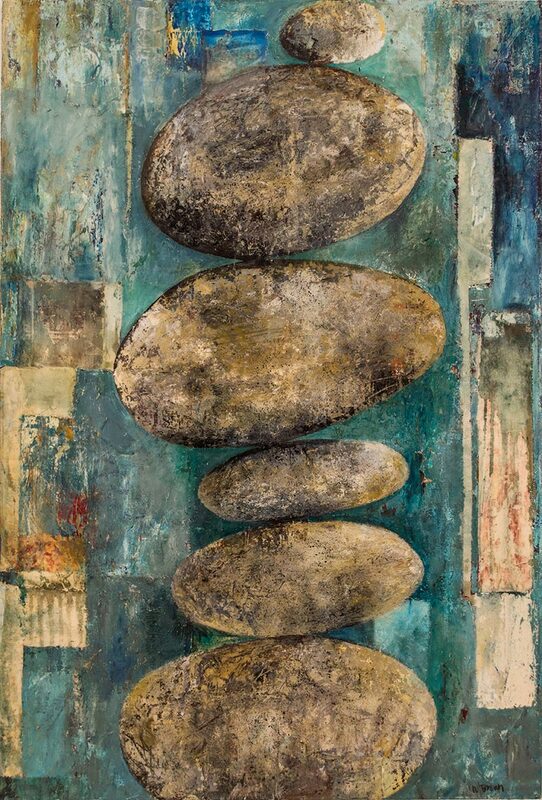 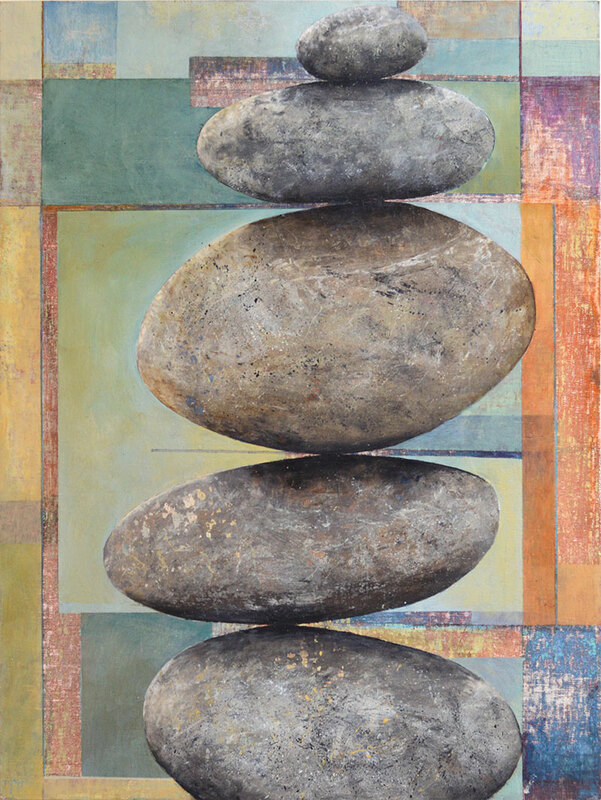 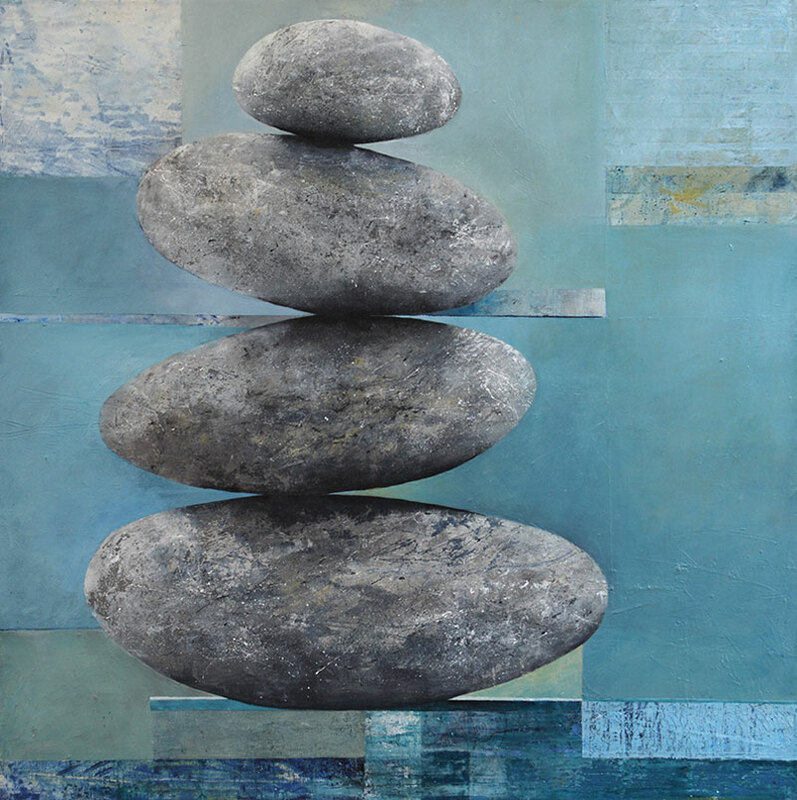 In these compositions, the stones are positioned in ways that examine themes of instability and impermanence.